Tottenham are prepared to offer Gylfi Sigurdsson a more lucrative financial package than Liverpool in a bid to sign the 22-year-old Hoffenheim midfielder. But Reds boss Brendan Rodgers could yet prove a key factor for the Iceland international after his loan spell under Rodgers at Swansea last season. Hoffenheim are happy to agree a deal with either club, with the fee likely to be close to £8m. But at this stage the sticking point remains the player's personal terms. Spurs, who on Tuesday were thought to be close to clinching the signing of the midfielder, have conducted an outline medical check on Sigurdsson but a deal has not been finalised. Rodgers had been privately confident of securing a deal for a player who shone under his guidance on loan at Swansea. Sigurdsson was on the brink of joining the Welsh club on a permanent basis when Rodgers opted to move to Anfield. But the pair have remained in contact since the midfielder's £6.8m transfer to the Liberty Stadium collapsed. 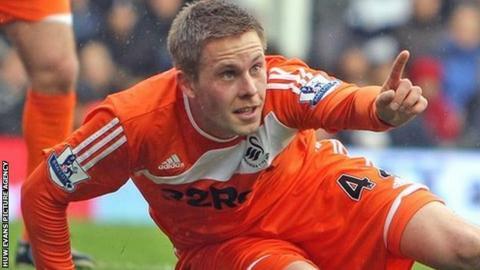 Last week, Michael Laudrup, Rodgers' replacement at Swansea, conceded defeat in his attempts to persuade Sigurdsson to resurrect his permanent move to the club.